By Craig Murray: For every one mile one passenger travels, the British taxpayer pays an average 8 pence subsidy to the train operating company. That is an average of 8p per mile subsidy for every single journey for every single passenger. That is, of course, in addition to your train fare. The train fare system in the UK is ridiculously complicated, so much so that it makes comparison to other countries difficult in searching for like for like fares. The simple methodology adopted by this site linked to finds the UK has the second most expensive train fares in Europe. This further site linked to finds Britain has the most expensive commuter fares of eight expensive comparators. This Sky News investigation found some stunning examples of comparable British tickets being around three to four times more expensive than comparable fares in France and Germany. 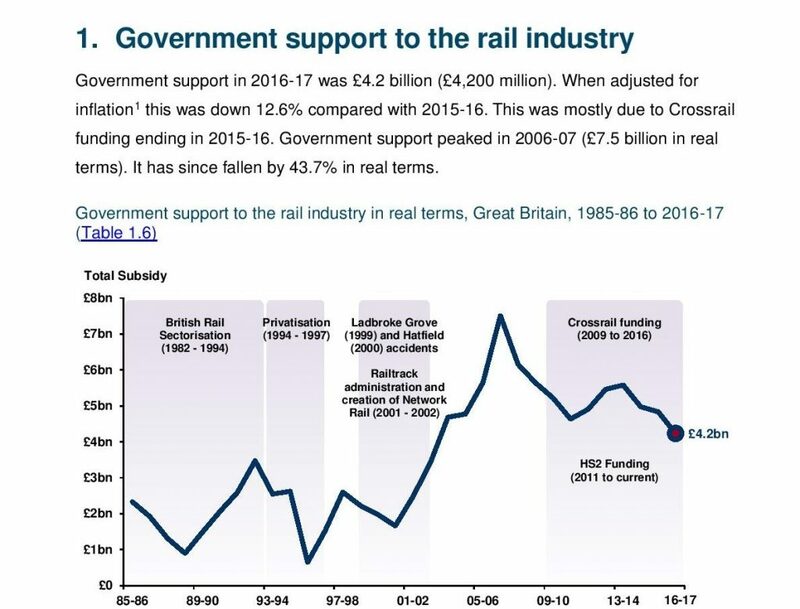 Since privatisation, taxpayers have paid much more money in real terms to the rail network that they gave to British Rail, as shown by official government statistics. Much of that taxpayer money has simply gone to the profits of the subsidised train operating companies – which peculiarly are for the most part foreign state-owned railway companies. As trains get ever more filthy and overcrowded, the promised privatisation benefits of passenger experience remain elusive. I attended a family funeral in Norfolk just before Easter. as such events are necessarily unplanned, and I would have to come home on Good Friday when trains are very busy, I bought a first class ticket from Peterborough to Edinburgh at great expense, but ended up standing from Peterborough to Berwick. My ticket was, from memory, £210. On arrival at Edinburgh I went to Virgin customer services to ask if I might have some refund. I was told that as I had an open ticket and no reservation, I was not guaranteed a seat. I pointed out that I had received no food and no drink, as entitled by a first class ticket. The lady replied that these were “complimentary” and that meant they were a gift and not an entitlement with the ticket. I replied that I had received no benefit from my first class ticket, neither a seat nor any refreshment, so I should at least be refunded the difference between a first and second class ticket. No, the lady replied, I had the right to stand in a first-class carriage. She really did say that. 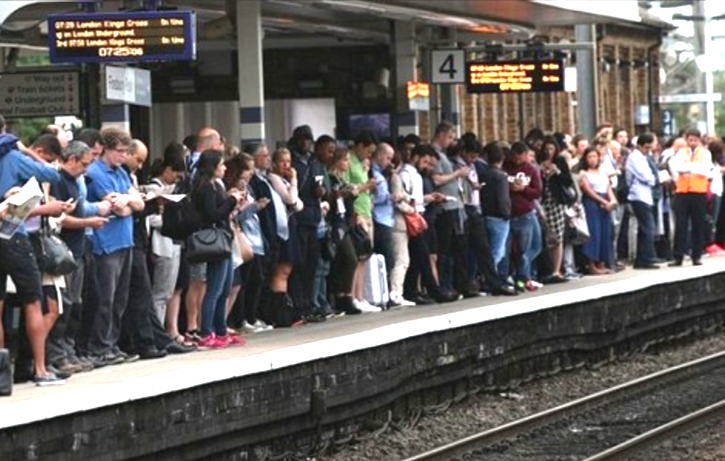 Today Britain’s train operating companies are launching a consultation on rail fares, which precludes from the start the notion that fares should be cheaper. It sounds like their motive is an attempt to remove their legal obligation to issue discounted season tickets to commuters, dressed up in guff about “flexibility” and new technology. The urgent need is the renationalisation of the railways and for Britain to catch up with the more enlightened world in the rolling out of high-speed rail. I view HS2 as a minor idea, compared to the need to provide high-speed rail all the way to Aberdeen and Inverness, with a high-speed network connecting all the UK cities of over 500,000 people, and involving multiple direct links to a variety of European cities. This is the kind of public project which can have a revitalising economic effect. If the Victorians could undertake economic projects on that scale with a much inferior construction technology, then so can we.